Rixty Support - When will I receive the items I purchased? 62445301681 ../;jsessionid=101791nncxxui7q8w01do9wd3bizfee.10179?wicket:interface=:0:beta-club:modal-container:modal-content:content:body:login-rixty-form:visibilityContainer:fbconnect::IActivePageBehaviorListener:1:1&wicket:ignoreIfNotActive=true It seems like your browser is preventing Facebook Authentication. This happens when your browser's Tracking Protection is enabled. To continue logging in via Facebook, please turn off Tracking Protection or use a different browser. 62445301681 ../;jsessionid=101791nncxxui7q8w01do9wd3bizfee.10179?wicket:interface=:0:login-panel-small:login-small:login:modal-container:modal-content:content:body:login-rixty-form:visibilityContainer:fbconnect::IActivePageBehaviorListener:1:1&wicket:ignoreIfNotActive=true It seems like your browser is preventing Facebook Authentication. This happens when your browser's Tracking Protection is enabled. To continue logging in via Facebook, please turn off Tracking Protection or use a different browser. 62445301681 ../;jsessionid=101791nncxxui7q8w01do9wd3bizfee.10179?wicket:interface=:0:login-panel-small:login-small:signup:modal-container:modal-content:content:signup-form:fbconnect::IActivePageBehaviorListener:1:1&wicket:ignoreIfNotActive=true It seems like your browser is preventing Facebook Authentication. This happens when your browser's Tracking Protection is enabled. To continue logging in via Facebook, please turn off Tracking Protection or use a different browser. 62445301681 ../;jsessionid=101791nncxxui7q8w01do9wd3bizfee.10179?wicket:interface=:0:redeemcode:modal-container:modal-content:content:body:login-rixty-form:visibilityContainer:fbconnect::IActivePageBehaviorListener:1:1&wicket:ignoreIfNotActive=true It seems like your browser is preventing Facebook Authentication. This happens when your browser's Tracking Protection is enabled. To continue logging in via Facebook, please turn off Tracking Protection or use a different browser. The delay between purchasing and receiving items varies among games. Sometimes it can take a while for a game to fulfill a purchase, especially if there is heavy usage that day. Please check your game account again. If you have still not received what you bought, verify that your purchase completed successfully. If you received an email from Rixty titled "Rixty Purchase Notification," or you see the purchase in the Transaction History section of our website, then your transaction was successful. If not, then your purchase did not complete successfully. Please return to the game and try again. 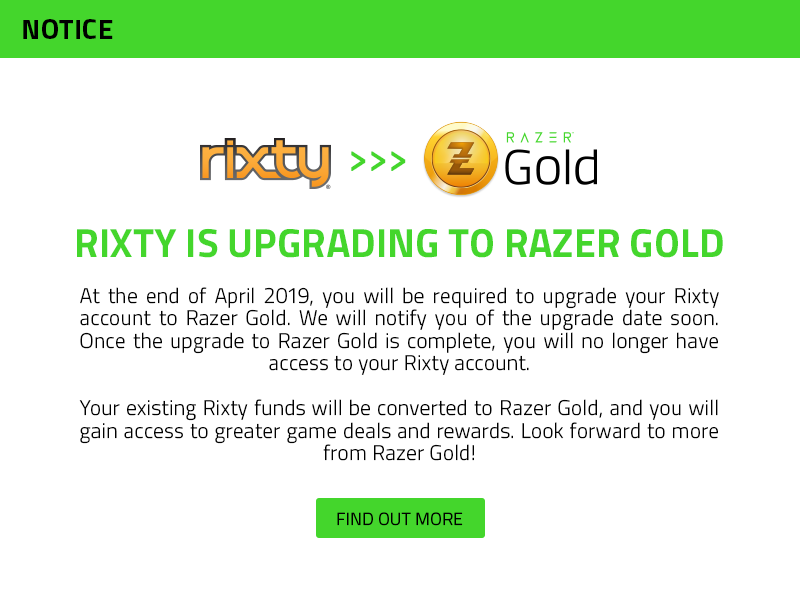 If your purchase completed successfully, contact your game’s helpdesk and show them the Transaction ID in the email from Rixty. The existence of a Transaction ID means the purchase was completed and confirmed by the game, so they will have a record of your order, and they will be able to grant your items. Unfortunately we cannot deliver missing items to you. Only a game can place items into its users’ accounts.